A Curtin University double degree graduate has won the prestigious Ram Charan Student Award at the 2018 Australian HR Institute (AHRI) Awards, for his essay describing some of challenges facing the human resources industry. 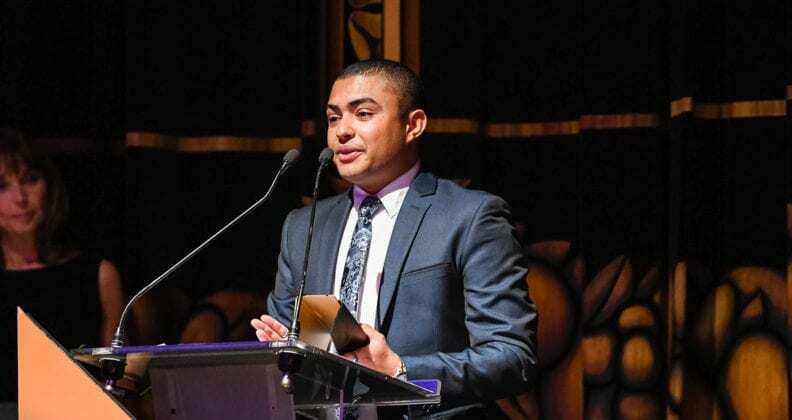 Brandon West was “tremendously satisfied” to stand on stage in front of his esteemed colleagues at the 2018 AHRI Awards. 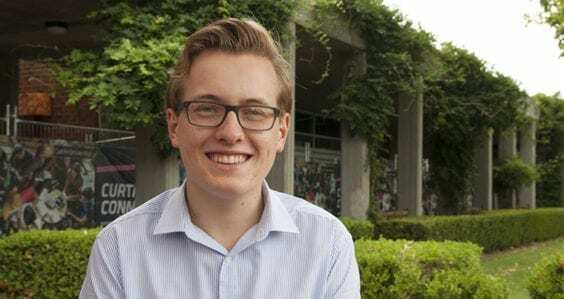 Brandon West, 23, submitted the 3,500-word essay during the final year of his Bachelor of Science (Psychology) and Bachelor of Commerce (Human Resource Management and Industrial Relations) double degree. 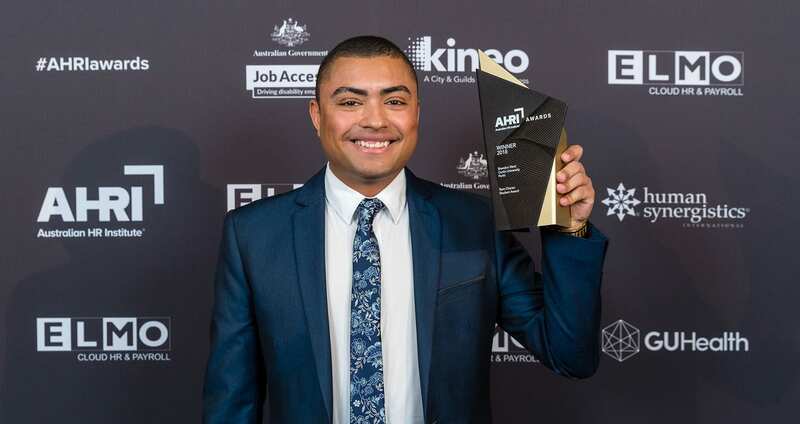 He was announced as the winner at the 2018 AHRI Awards Dinner in Melbourne Town Hall in November, just a week after sitting his final exam. West’s essay drew attention to implications to the human resources industry caused by growth in the contingent workforce – casual workers, freelancers and short-term contractors. He outlined the need to classify the distinction between employees and contractors, drawing attention to real legal cases, including an Australian court case that assessed whether a worker was classified as a contractor or employee for compensation purposes. West, whose essay was judged by a prestigious panel including Australia’s first female Governor-General Dame Quentin Bryce AD CVO, former High Court Justice the Honourable Michael Kirby, and the award’s namesake, world-renowned business advisor Ram Charan, says he was “tremendously satisfied” to have won the award. “The award gave me an opportunity to show my interest in the current and future issues facing HR professionals. On top of this, I knew that it was a great networking opportunity, as finalists received an all-expenses paid trip to Melbourne to attend the awards night. Brandon West, after being presented with the 2018 Ram Charan Student Award. It’s not the only opportunity West has undertaken to improve his employability in the HR arena. During his studies, he also volunteered as a student ambassador for AHRI and undertook three internships, the most recent of which was reviewing current employee onboarding processes at Main Roads Western Australia. “I spearheaded the project at Main Roads, interviewing both new-starter employees and business managers on their experiences and expectations, and comparing this [information] with my own experiences. I produced a project report that gave recommendations for the business to consider in future renditions of their onboarding processes,” he explains. West is currently helping university students with their applications as part of Curtin’s admissions team, but he says his goal is to pursue a career as an employee relations specialist, where he can help create workplace practices and policies that can help organisations achieve their Key Performance Indicators and strengthen their workforces. “I have always strongly believed that an organisation’s workforce is the most valuable asset they can ever have. However, past experience has shown me that some organisations do not recognise the full potential of this resource. Curtin’s Discipline Lead for Human Resources Dr Scott Fitzgerald congratulated West for his win, expressing his belief there has never been a better time for students to consider a career in human resources. “Workplaces are changing at a faster pace than ever before. By the same token, so are people in terms of what they want from their careers, how and why they want to work, who they want to work with and where,” says Fitgerald. 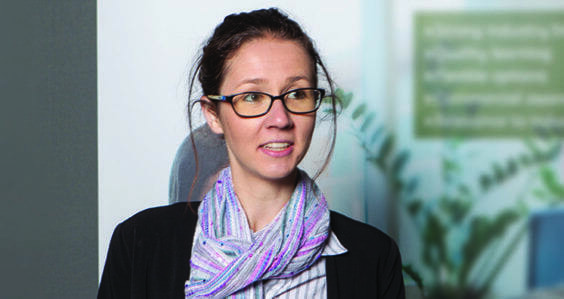 “Not surprisingly, the range of opportunities is also increasing rapidly, with opportunities to specialise in human capital development, to be at the interface between technological developments and HR strategies, to work on a global stage, and more. 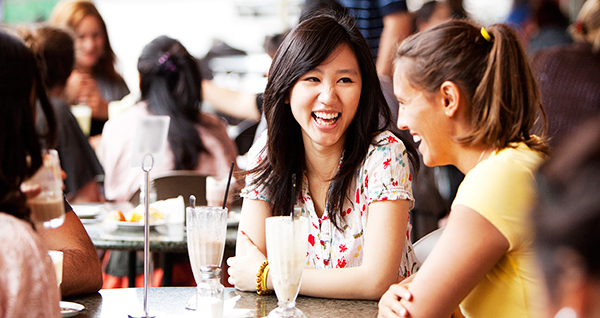 Read more about Curtin’s Bachelor of Science (Psychology) and Bachelor of Commerce (Human Resource Management and Industrial Relations) double degree.